The stethoscope is an extremely vital tool for any doctor and other sorts of medical personnel that need to make a proper diagnosis. Used together with a related apparatus, a person’s blood pressure can be taken without being too invasive. With a stethoscope, a patient’s breathing can be analyzed for any issues of clogging in the lungs. The same stethoscope that assists nurses in getting blood pressure readings can also help doctors in making a proper and more in-depth analysis of a patient’s heart, through his or her pulse. A faint beat can only mean one of two things – a faulty stethoscope, or a faulty heart, the former being easily rectified. But wait – it can also mean that the doctor’s hearing has begun to deteriorate. Now, a faulty heart can easily be rehabilitated through proper diet and exercise. However, the same cannot be said for hearing that is going south. There are many reasons why a person’s hearing can deteriorate, and unfortunately, when it happens, it does have the tendency to hit a person’s morale. Fortunately, there are ways that have been developed through decades of advances in technology that have brought people back to hear the same way they used to. Hearing aids have only gotten smaller and better since their introduction so many years ago. By bypassing certain areas of the ear and relaying sound to where it eventually goes, many have had their hearing restored, or at least enhanced. This is all good news for people, but what about doctors who have contracted hearing problems? Are there ways for a doctor to use a hearing aid and a stethoscope at the same time? What are the solutions to this sort of problem? Doctors who are hard of hearing have all sorts of problems in the workplace. In an environment where precision and consistency are always called for, they need to step up a little more in order to keep up. Most interactions may not be as intense, but details that need to be discussed need to be communicated with a little more patience around doctors with hearing problems. Doctors who invest in hearing aids may have their hearing back, and they may be able to cope as easily as they used to in the hectic medical environment. However, this all changes when they would need to use a stethoscope. Their readings may not be accurate, which means that they would need a second or third party to use the same stethoscope. Today’s stethoscopes are a far cry from the traditional ones with the tuning fork design. They integrate enhancements brought about by advances in technology. What that means is that it is now possible for doctors to amplify what sounds their scopes pick up, for a more precise analysis of a patient’s condition. That’s even more impressive is that these modern stethoscopes (you can call them ‘e-scopes’, if you prefer) eliminate the absolute need for you to adjust your ears to thick, uncomfortable binaurals – most of these stethoscopes enable sound transmission through 3.5mm jack. This means that you can connect your conventional headphones to the scope, and you can get an even better audio reading at the same time. The benefits go even further – with the same jack it is actually possible to connect the scope straight to a hearing aid. This means that doctors with hearing problems would not need to go through the cumbersome process of taking out their hearing aids to use the stethoscope. The same jack is also compatible with any smartphone or tablet with the same outlet, meaning you are able to record sounds, or analyze them through an associated mobile application, real-time. Upon searching for electronic stethoscopes in popular sites, you will see that there are some whose design still remains faithful to the traditional look and feel, complete with the rubber tubing and the hard metal and earbuds. You could say that these are ‘bridge’ stethoscopes that help doctors transition from traditional stethoscopes to today’s more modern designs. Most of the tech is placed on the actual scope, where controls are placed to amplify sound while cancelling any ambient noise. Headphone stethoscopes, on the other hand, are built to accommodate more observers. 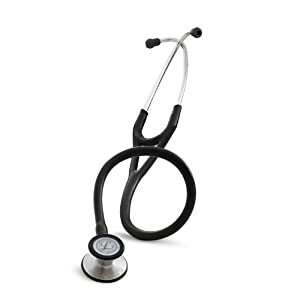 These are the sort of stethoscopes that doctors with hearing impediments should be looking for, as they are the devices with the 3.5mm jack, as well as additional features to accommodate common hearing aids. The advantages are pretty straightforward. With a headphone stethoscope you have more options for customization, for the auditory experience to be more comfortable – a plus when you’re trying to make out any issues with a patient’s heart or lungs. 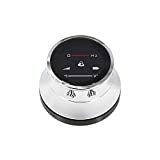 The features of a headphone stethoscope allow you to generally enhance the entire experience to a point that your ears are completely engaged, hearing only what it should be hearing. With a headphone stethoscope you are hearing more heartbeat with less noise. Due to the more flexible nature of headphones in general, they are more portable and can be adjusted to fit into smaller casings. This is a great improvement compared to the fixed metal tubes of more traditional designs. Though headphone stethoscopes have these general pro’s, they do have their pitfalls. Their ability to utilize electricity to enhance the entire experience is both an advantage and disadvantage, in the sense that if you run out of batteries, then you would have no choice but to go back to the traditional stethoscope. This, of course, is not an option for doctors who are hearing-impaired – bringing extra batteries will always be necessary. Though headphone stethoscopes are generally more portable, the fact that they integrate electronics also means that they are more delicate. You probably wouldn’t be dropping these on purpose, but if you do, they wouldn’t survive the fall as much as a traditional stethoscope would. Today, you can find a good bargain for a complete set – electronic scope, headphones, and all. However, do not be surprised to see that until you see those good deals, you may need to invest a little more than you would with two or three traditional stethoscopes. The following products are some of the best and most recent headphone stethoscopes you can find in the market. Thinklabs proudly advertises this as one of their flagship modern stethoscopes, going as far as stating that ‘the icon for medicine has changed.’At first glance, the scope piece doesn’t seem like much, but don’t let this fool you – the Thinklabs ONE is claimed to be ‘The One’ for a reason. The compact design is smooth and minimalist. It looks easy to operate, and it also looks like it can take light abuse without literally skipping a beat. There are controls to control how the sound makes it through to your ears, in order for you to make the necessary adjustments from shifting to listening to the heart to the lungs. The entire device has at least two ports: One 3.5mm port for you to use your favorite earphones with, or to integrate with a hearing aid. The other port is a USB-style design, for you to connect it to a power outlet via a charger. This same port can be used with the Thinklink cord, included in the package. This cord is special in the sense that you could connect the ONE to a compatible mobile device, or even a laptop, for proper recording and transmission of sounds to a more reliable storage receptacle. The ONE comes with a built-in Lithium Ion battery, so all you need to do is to make sure that the battery is fully charged before your shift, and you’re good to go. You may forget to charge, or you may skip a day, but don’t worry – the battery is guaranteed to work even if you charge it just once or twice a week. While there are some obvious reasons why you should consider buying the ThinkLink ONE, here are some issues that may have discouraged some from making the investment. The move for the ThinkLink ONE to use more common audio headphones may be good or bad, depending on how confident you are with the headphones you will be using with it. Traditional rubber tubing is far sturdier and proven to last longer, while today’s audio headphones may not share the same reputation in toughness. The folks over at Cardionics have been in the industry of producing quality stethoscopes for quite some time. They have introduced enough products in the market for them to go back to their previous iterations, improving them to the point that their second generation of headphone stethoscopes – aptly named ‘II’ – has made it into the market. The actual scope that comes with this purchase demonstrates Cardionics’ experience in ensuring that vital sounds are heard perfectly, without any interruptions that arise from the immediate area. In other words, you will have no trouble picking up heartbeats and even lower-frequency sounds from the bowels or any other significant area. Sounds such as those from a beating heart and those taken from slow deep breathing are amplified, while any background noise is effectively eliminated. The Cardionics’ E-Scope II is perfect to use for general usage in a clinic or hospital, yet is tough enough to keep with paramedics who have less of the luxury of time when it comes to helping their patients. The design and feel of this stethoscope can definitely leave one confident that it will stand the test of time, and then some. Like the ThinkLink ONE, the Cardionics’ E-Scope II also has a data port for quick recording of significant sounds on a laptop or a mobile device. As mentioned earlier, this is quite a tool to be used for those instances where precise analysis and accurate diagnosis are absolutely necessary. At $300, it costs lesser than ThinkLink’s ONE, but at that price for a stethoscope, it is still pretty pricey. This particular model does not come packaged with headphones – you will need to buy that separately. Reviewers have mentioned that this particular scope is rather sensitive – the slightest bump to the right area will make really loud sounds that will eventually make its way and hurt the ear slightly. Cardionics’ 7710 model can also be used for medical personnel who get assistance from inner ear hearing aids. Apparently, Cardionics has a separate headphone stethoscope model for those who use other types of hearing aids. One look at their catalog also mentions stethoscopes made specifically for veterinary use. has the same controls that the rest of Cardionics’ stethoscope lineup boasts of. They are adjustable with a simple movement of the fingertip, keeping control easy yet precise when needed. A separate control is featured dedicated to increasing or decreasing volume as necessary. Another knob is present to control frequency – this feature is particularly useful for instances where you would need to zero in on specific sounds such as those coming from the heart, or for breathing analysis. All this control would not mean anything if the listener was also subject to hearing everything else in the background. For this reason, Cardionics was able to make changes into its design, just so that any unwanted noise is eliminated as much as possible, no matter what frequency the scope is set to at the time. If there is a need for an increase in volume, controls allow for amplification of noise to as high as 30x a conventional stethoscope. This headphone stethoscope operates on a single independent AAA battery, as with the previously featured E-Scope II. The entire device is power-efficient, as it has an automatic shut-down feature which turns the scope off automatically after approximately two minutes of idle time. Though it does shut down after this time, the volume setting you placed it in would remain even after turning the device back on. The entire package comes with a CD which contains instructions and the operator’s manual, for any additional troubleshooting tips and other guidelines when it comes to maintenance. Unlike the previously mentioned headphone stethoscope, the 7710 model does come with its own headphones, and even additional ear-tips for further customization and comfort, according to your ear size. As with all of Cardionics’ other stethoscopes, the 7710 has a One-year warranty. The 7710 would set you back around $350 or more. Keep a sharp eye for any malfunctions in the headphone jack – at least two out of four total reviewers in one website featuring stethoscopes have complained that this particular product may have general issues in that area. Some vendors post this product as having headphones purchased with the entire scope, while other sites say that the headphones are sold separately. You may want to take some time to do clarification before making any purchases. This is a more specialized scope – Cardionics calls it a ‘Visual Stethoscope’ (ViScope, for short) which enables users to enjoy the same amplification and other features it usually includes in its electronic stethoscopes. What sets this particular product apart is the integration of a dedicated visual display, which shows the observer more valuable real-time information on the sounds that are currently being gathered by the scope. , not only do you hear better, but you literally see the sounds as well. Any sounds that make their way to your ear with doubts on your end can be confirmed if they pop up in the visual display, provided that you make the right adjustments. All you need to do is to place the apparatus on the chest or on the concerned area as you would a regular stethoscope, and as you hear the sounds, the visual display will also show the related phonocardiogram. The display is quite massive, and the high resolution will allow you to enlarge the moving image for a more precise reading. The ViScope comes fully supported with software which allows you to collect any important data for recording purposes or for future analysis. It comes with this software and a charger for the built-in battery. Note: If you’re looking for the ViScope specifically for the hearing-impaired, then look for the 7910 model. This is the ViScope compatible for both in-ear and behind-the-ear hearing aids. Visual display only adds more to the already remarkable auditory experience. With the visual display you will save time making more analysis in one go. There are more features to this particular stethoscope but the entire device still looks tough enough to withstand some proper punishment, while taking barely anything away from the entire experience. The ViScope does come with its built-in rechargeable battery, but considering the added features, you can expect the entire battery to run out after only 8 hours of continuous use. Make sure that you drain the battery completely and charge it completely before using it again, just so that you do all you could to extend the battery life of the device. Are you wondering about the best stethoscope for hard of hearing medical professionals? The truth is it can be extremely difficult for doctors, nurses, and medics who are hard of hearing to find a stethoscope that meets their needs. Hearing loss may increase over time; it can run the spectrum from minor to serious; and hearing aids may or may not be required. There are also many different types of hearing aids available for those who use them. All of these factors will impact how you hear the sounds of auscultation. What all this means is that finding the best stethoscope for hard of hearing professionals is very complicated. The perfect stethoscope for one user may not be a viable option for another. For this reason, we’re basing our recommendations mostly on the advice of publications and forums devoted to the professional development of hard of hearing health care workers. If your hearing loss is mild and you don’t use a hearing aid, a high-quality amplified stethoscope is your best bet. Additionally, if you use a hearing aid but don’t mind removing it to use a stethoscope, you may also want to consider an amplified stethoscope. The stethoscopes listed below are designed for use without a hearing aid. It is possible to get specialty earpieces which allow use with a hearing aid, but most users describe these as extremely painful and nearly impossible to use. It’s also possible to have your audiologist adapt your hearing aid for stethoscope use. This often results in heavy feedback, though, and usually turns out to be an incomplete solution. Both the Welch-Allyn Master Elite and the Littmann Electronic 3200 get special notice for their cutting edge technology. Either one can be used to record and analyze sound with the help of a computer and special software. The Cardiology III from 3M Littmann takes the #1 spot due to its sound quality and comfort on the ear canal. Whether taking a blood pressure reading or listening to a baby heartbeat the sounds comes through clearly and reliably. At the upper end of the price range, the Cardiology III is generally going to be purchased by medical doctors. For nurses, EMTs, and other medics a more cost-effective option is the Welch-Allyn Master Elite. Both of these models feature a tunable diaphragm to maximize sound quality. The newest addition to this list is the Audiologists’s Choice Stethoscope, which entered the marketplace in 2012. 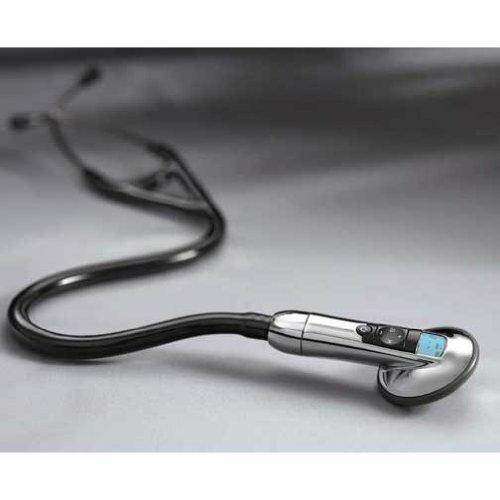 It deserves special mention because it is the first ever Bluetooth-enabled stethoscope. 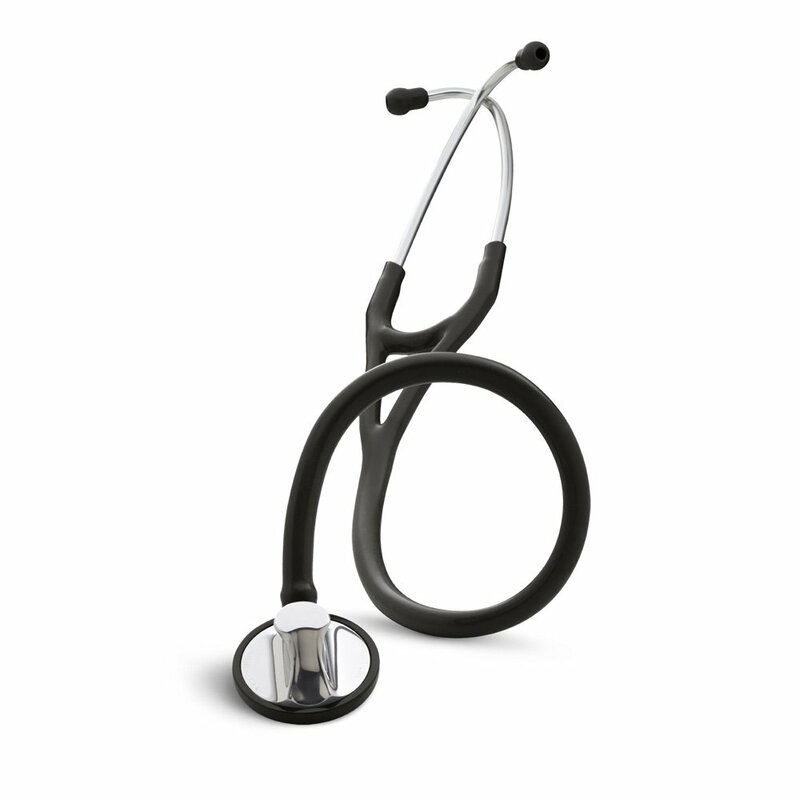 If you’re currently using this stethoscope, we would love to hear from you! Eko has also entered the bluetooth market with its Eko Digital Stethoscope, however user reports indicate it can be difficult to tune the diaphragm to focus on auscultation rather than picking up all background noise in the room. Which is best for you will depend on what kind of hearing instrument you are using. With hearing aids or cochlear implants, you need to make sure that the stethoscope you purchase will fit comfortable in your ear canal. A device that is painful to use will not be used for very long. Look for options to use over-the-ear headphones for maximum comfort and ease of use. The Cardionics E-Scope receives the best and most frequent reviews of these three stethoscopes, and it’s our choice as the best stethoscope for hard of hearing medical professionals. For those medical professionals who are completely deaf, it is going to be near impossible to find a stethoscope that will work. Essentially you are limited to digital oscilloscopes, which fortunately are becoming more widely available as technology improves. One option includes the Eko Digital Stethoscope which has a bluetooth connection to a smartphone app.